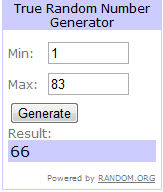 Thank you everybody for participating in my giveaway! It's such an honor having all of you as blog readers. Thank you! Congratulations Loribeth!!! Contact me with your info at cinderellamoments@yahoo.com. Thank you all for taking part! Big hugs to all of you. So let's celebrate! It's giveaway time. How about owning some of my hand painted pictures? You'll get a complete set here. roses in a vase on a blue background. What do you think? Romantic enough for your dollhouse? So what are you waiting for leave a comment so I know you are interested. The only rule is that you have to be a blog follower(Just hit follow on the right sidebar). That's it no other rule! You don't have to have a blog, you can be anywhere in the world! You're probably wondering if I've fallen off the face of the earth again. No! I'm writing another book. This time a how to book. 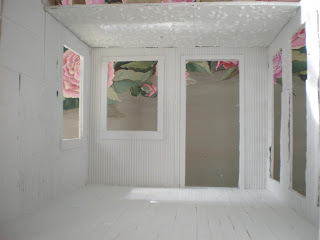 I'm detailing how I build a shabby chic dollhouse. I'm featuring Sandy's Shabby Streamside Studio in this book. I'm showing how I make it start to finish with all the details. I'm a little over halfway through. It's taking a while to make it, take pictures, write out a description and fit everything into format. And I've been so lucky to receive many orders. I'm planning a giveaway of my dollhouse mini paintings with roses. So stay tuned if you're in need of some romantic pictures to decorate your dollhouse.